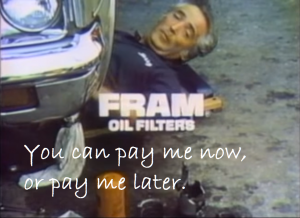 Remember that old TV commercial from FRAM oil filters from back in the 1070’s? Or, the old saying: “an ounce of prevention is worth a pound of cure”? Some concepts just never go out of style and, in today’s technology driven environment, it’s never been more true. No matter how hard we try to secure our networks, it seems like we’re only one step away from a disaster. Check out this article from Inc. magazine and see how one company wishes they had taken just one extra step to lock things down. For them, it cost $700k; for anyone else it could mean a total loss of business. What’s that one step? It’s easy really…three little words and one shiny acronym: Multi-Factor Authentication (MFA). Yup, it may sound like overkill and “just for the big guys”, but it’s really not.